We pray you are enjoying your Christmas holidays with family and friends. As we come to the end of the year and half way through our fiscal year, thank you for your financial involvement in the ministry of The Journey®. If you are blessed by what you hear and appreciate the ministry of The Journey®, know it happens only when you are involved. Without you, none of this is possible. As you consider your year-end giving plans, please remember 88.3 The Journey®. At the end of November, we were still about $25,000 behind budget after falling just short during our Fall Sharathon in October. 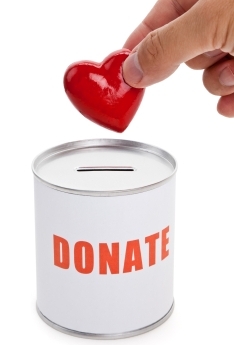 You can make a secure donation online by clicking here. Our mailing address for year end checks is 100 W. Hillcrest, Keene, TX, 76059. And our office will be open until 5:00 pm Monday afternoon, Dec. 31st, if you would like to visit the studios and leave your gift in person. Thanks for your support and prayers.